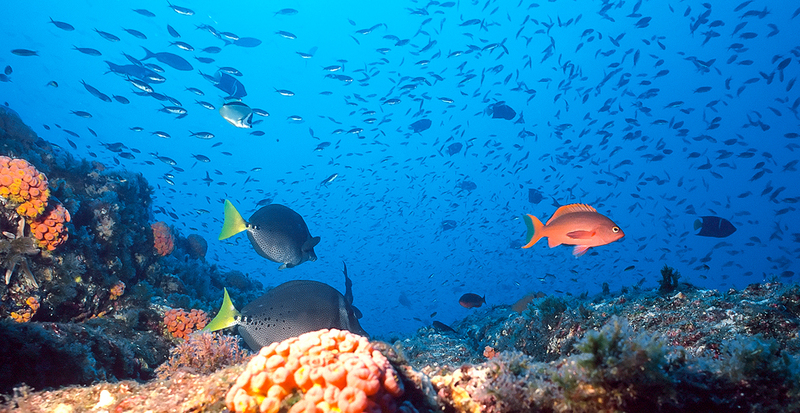 Coined by Jacques Cousteau as “the world’s aquarium,” the 700-mile gulf of the Sea of Cortez is home to a kaleidoscope of underwater creatures and playful marine mammals. Click the button below to begin planning your nature-inspired vacation to Los Cabos, or read on to discover all the ways we can introduce you to this aquatic paradise from every perspective. 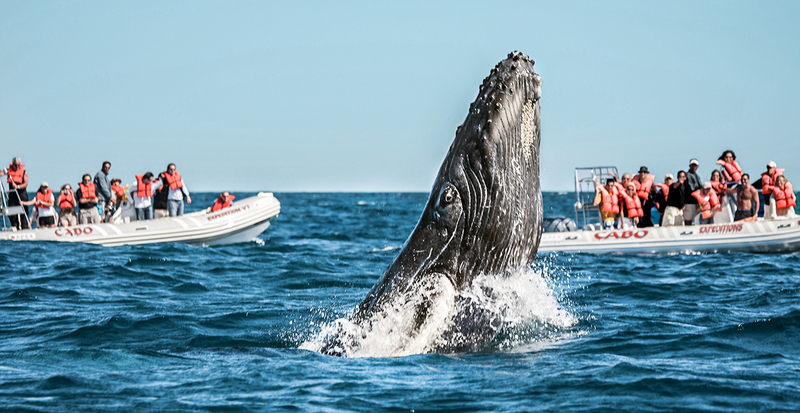 Few experiences compare to the breathtaking adventure of watching gray and humpback whales up close from the water. When we arrange your winter excursion, these gentle giants are likely to put on a show: breaching the surface, slapping their tails, waving their flukes and even “spy hopping” — slowly rising straight out of the water to peer directly at groups of watchers. Slip beneath the azure waters of the Sea of Cortez on a snorkeling excursion, where even novice swimmers can experience the exotic colors of living coral reefs and hundreds of species of fish. Stay close to the shore and explore rocky tide pools and coves, or delve into deeper waters to spot manta rays, sea turtles, sea lions and dolphins. 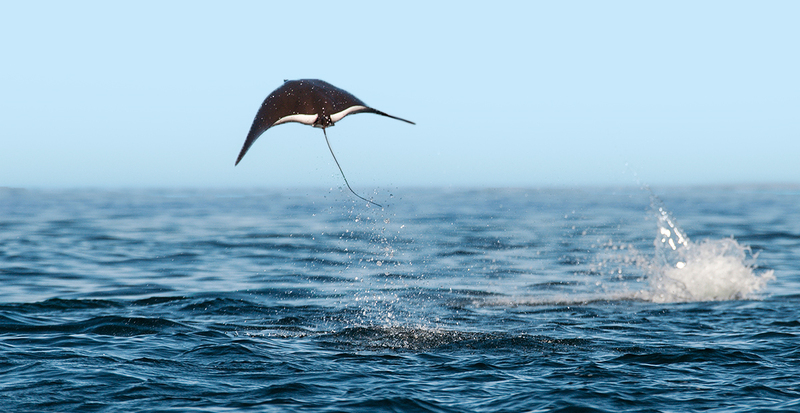 Occasionally mistaken for a school of dolphins or fish gliding under the water’s surface, the sight of mobula rays leaping nearly six feet into the air is as amusing as it is inspiring. (Locals call them "flying tortillas.") When you're not viewing marine life in the Sea of Cortez, head to Pacific waters that welcome surfers from around the globe. Whether you're a first-timer or a seasoned surfer, we'll point you to the right spots from the southernmost tip up to Todos Santos on the Pacific Coast. An early morning pickup from The Resort at Pedregal is worth it for the experience of a lifetime. 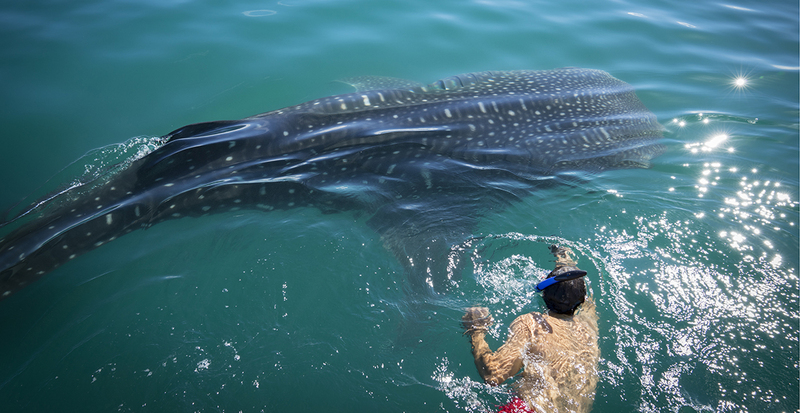 After a two-hour journey to the quaint town of La Paz, dive into the calm waters of the bay to come face-to-face with the world’s largest fish, the mighty whale shark. Growing up to 40 feet long, these filter-feeder whale sharks are harmless to humans and make gentle swimming companions. Switch your perspective and view the waters from the shore. 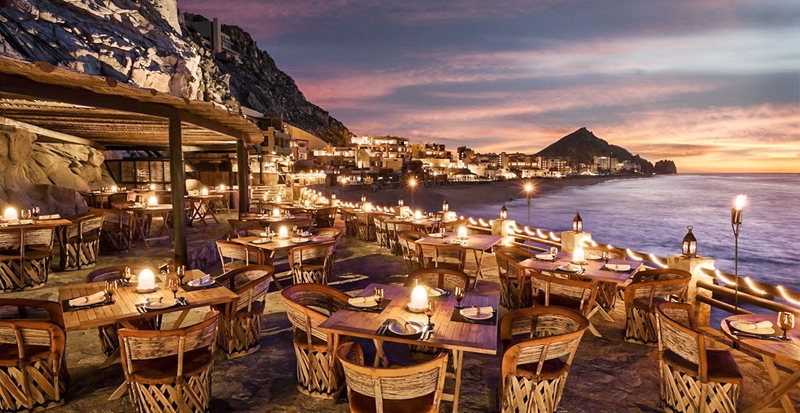 Dine from the ocean-to-table menu at El Farallon at The Resort at Pedregal, where candlelit tables sit on cliffs overlooking the water. Or, let us make your reservation at Cocina del Mar restaurant at Esperanza, an Auberge Resort, where local Baja fare like salt-crusted totoaba fish with heirloom tomatoes is served among a waterside setting. Contact us to explore every side of Los Cabos, Mexico, from ocean adventures to fine dining by the sea.